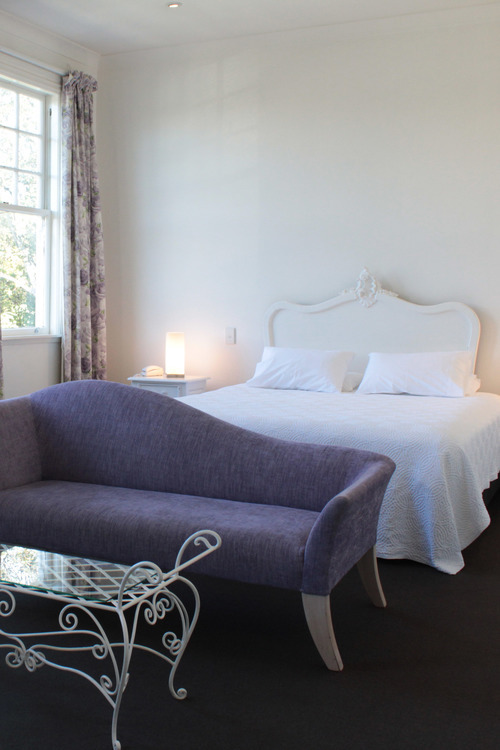 Greytown has a diverse and inviting range of places to stay. From boutique bed and breakfast, luxury themed rooms and family-friendly motels; there’s something for all budget ranges. With the busy summer months ahead it's a good idea to start thinking about booking your summer vacation or weekend getaway in advance. Here's our top picks for you right here in the village. Eat, drink, play and stay at The White Swan Country Hotel, sharing meals with friends, sampling the extensive wine and local craft beer offerings, and making memories exploring the village. Then retire to one of the ranges of suites available in a variety of elegant styles – from timeless New York to traditional English to the opulent Orient. Mysterious and alluring, the grandeur of a bygone era is captured in The White Swans suites, themed to offer a unique experience. They also provide well-appointed studios at the Swan, offering views out onto the park and the oak trees that adorn the area. The White Swan provides a stunning base for your stay. Above Food Forest Organics, there are two apartments available to rent with King beds, Wi-Fi access, sky, and garden views. Enjoy the beautiful galleries, antique shops, cafes as well as 'Food Forest Organics' Store all within walking distance from your private apartment in the heart of charming Greytown. Briarwood is a truly unique offering for the perfect country escape and just a stone's throw from the village center. Surrounded by serene gardens, with established Hornbeam and Copper Beech hedging, clipped Buxus and Topiary trees, and the soothing trickle of a whimsical free-standing fountain, Briarwood has a Qualmark 5-star rating of Boutique and Lodge and is an exquisite example of one of Greytown’s iconic preserved Heritage Buildings, circa 1867. Suites and Studio offer unparalleled luxury with goose-down duvets, Victorian armchairs, and private courtyard just a step through the Suite's French doors. No expense has been spared to ensure visitors' comfort and pleasure. The epitome of boutique accommodation, Wyett House rests on an acre of exquisitely presented gardens, just a five-minute stroll to Main Street's shopping, cafés, and restaurants. An exclusive, luxurious and fully self-contained two-bedroom cottage (The Annex), inhabits the gardens' western edge with full Sky service, and the best of European linens and furnishings. A fully-equipped kitchen and well-stocked pantry (home preserves, home-baked cookies, fresh fruits, delicious jams, and bakery items) house everything needed for breakfast. Greyfriars Motel, in the heart of Greytown, is a perfect base from which to enjoy short walks, adventurous mountain hikes or sample Greytown’s local restaurants and boutique shopping. Sarah and Greg welcome you to their charming, colonial style motel with 15 stylishly decorated studio units in a delightful garden setting. Every room opens on to a veranda with outdoor table and chairs. The units offer accommodation from 1 – 4 people including two well-appointed access units. Greyfriars friendly, professional staff can help with all your accommodation requirements whether you are visiting for leisure or business. Experience the charm of one of New Zealand's oldest hotels (license holders since 1860). Dine in the relaxed atmosphere or grab a pint in what locals fondly call the Top Pub, (Greytown’s first drinking establishment). With old-school country inn accommodation, it's the perfect place for road trip stopover or a quick city break, lively music session, and great craic. To keep up with all the village news be sure to follow us on Facebook and Instagram.